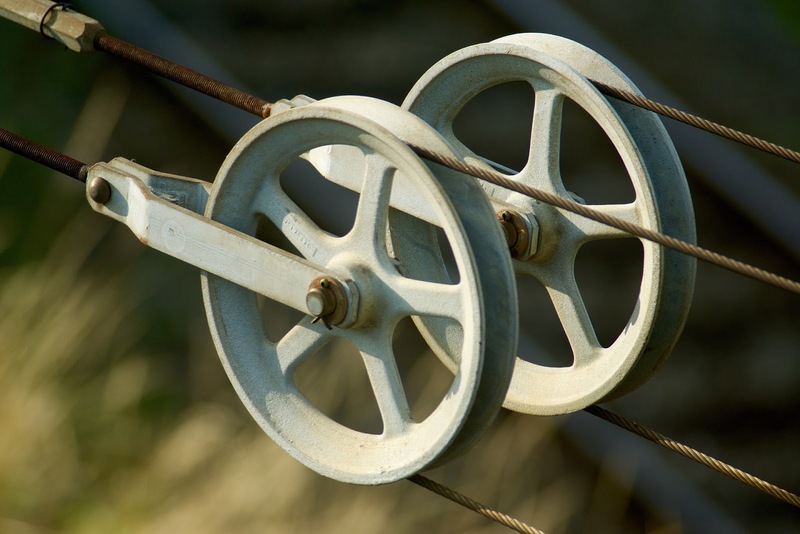 The Blog of Thog: Guest Post - Pulleys! Today's guest post from my father Graham covers his delight of globalisation, and how it lets him order hardware. He was after a pulley, apparently. ON A BRIGHTER NOTE, EXCELLENT NEWS! PULLEYS! I can tell you're impressed! Indeed as we are in this modern age of Google and global economies, market places etc it would be grossly old fashioned to try the hardware shop - one of which still does exist down a sleepy road in Hull, nay perish such thoughts, Google will answer all my needs! Indeed, and lo, there were a staggering variety of pulleys, plastic, galvanised, stainless steel and even some steel/brass constructions. Unsurprisingly my preferred option was 'Outstandingly strong and serviceable, but amazingly cheap'. This took some searching for but eventually under 'Chinese Imports' I found gold dust (well, pulleys actually). I could either purchase perfectly good pulleys at around 20p each, and an absolute bargain price - minimum order 1000 units (! ), or, I could buy single items at approximately £3.50 each. I chose the latter! Mike, my favourite son, did the doings, clicked on - oh 'things' on the computer screen, I gave him real money and I now await a package from Hong Kong anytime this or next month. Mike is well versed at this frankly amazing sort of purchasing, indeed only last week we received a T Shirt on his behalf all the way from the USA via Germany (as proved by various labels attached to the packaging). Yes, I thought so too ... why via Germany? Erm, clueless I'm afraid, I blame the EEC myself, well politicians anyway. Oh pulleys? Ah er, exercises! Persons who know me are aware that I am an exercise freak. It seems that if you lift a weight via a pulley you have 'constant tension' applied to the muscles via the rope - pulley system thingy ... apparently, and this is good ... allegedly. I read it somewhere on Google, so it must be true! Even better than that, you can perform some seriously odd exercises from an amazing variety of angles with a pulley ... what is there not to like?